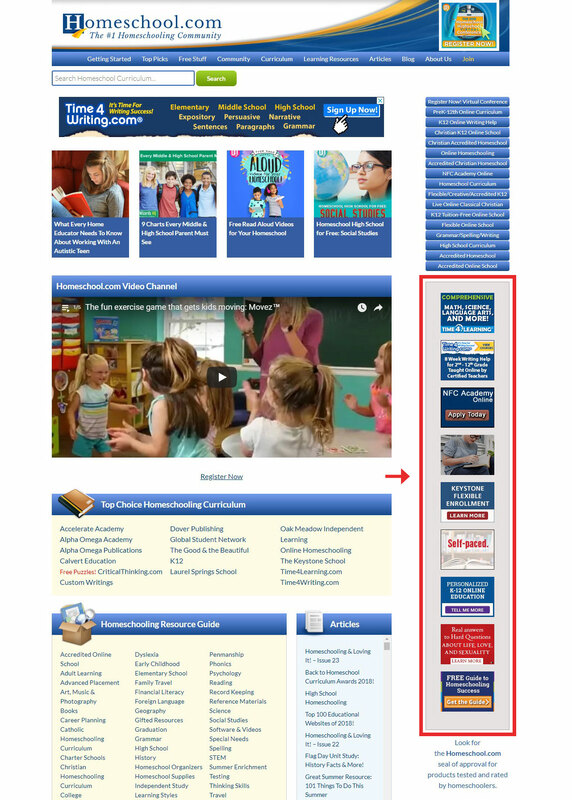 Banner Advertising on Homeschool.com is a great way to build your brand. Your 120×90 px ad is featured on the right-hand column of our homepage, links directly to your website, and is “run of site”. You can see examples we currently have on our homepage.